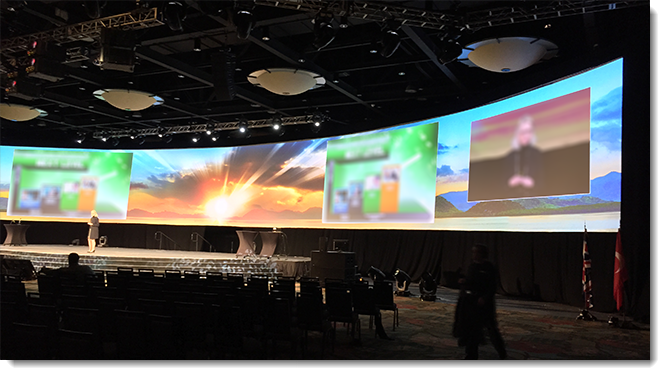 Corporate meetings have continued to expand the use of super wide screens and projections. TLC Creative Services has worked on several design templates for events throughout the year where the standard 16×9 PowerPoint leads the design. Once the design is approved, we move into creating the UltraWide template using PowerPoint. 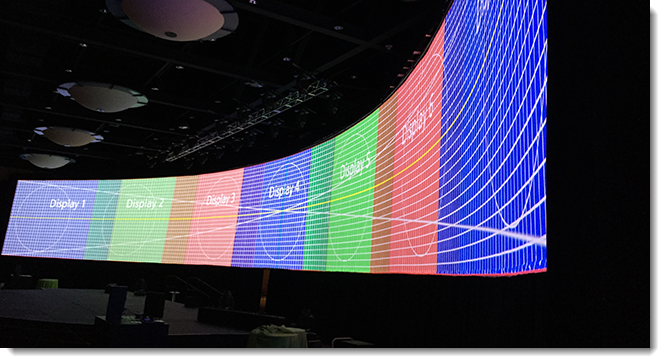 The layout of Ultrawide projections can be 40ft high to 250ft wide! These events are a group effort; we work closely with the AV production team to know the technical specs before developing the UltraWide template. For this particular show, we had two widths built in, the active pixel (visible to audience) and full pixel width (for the slide/computer sizing). We also had IMAG (Image Magnification) or live camera of the presenter. PowerPoint doesn’t control IMAG, but it is important to plan the design to visually fit. Here’s a video to show an example. Adobe InDesign is our preferred layout application for print design projects. But it is not a widely used application in Office environments. Microsoft Word can be difficult to work with in documents that need to be flexible with content layouts. Design project requests for a “PowerPoint Document,” a PowerPoint file designed specifically for PDF or laser print output (not slide shows), continue to grow. And applying our formal print design background helps these documents stand out from “standard” Word and PowerPoint styling and be a visually “professional” print design piece. 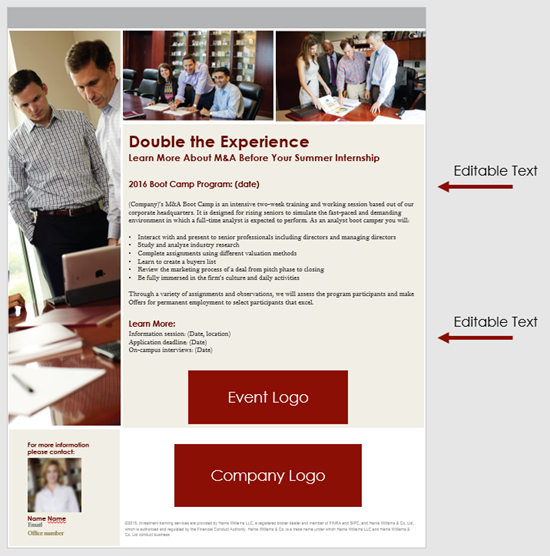 This single sided print piece (client content removed) is an example of a PowerPoint Document design project. 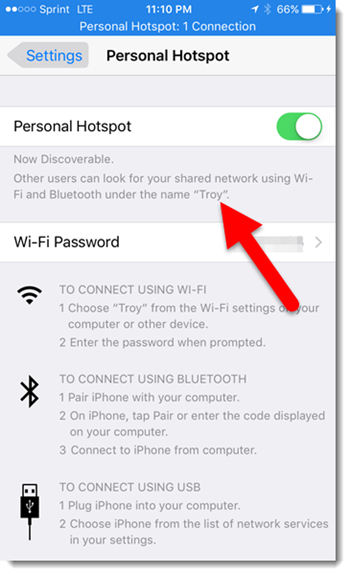 With continuous travel, I use my iPhone Hotspot option to get my laptop online quite often – it is often faster than the hotel or airport WiFi and keeps me from paying ridiculous $20/day internet fees. 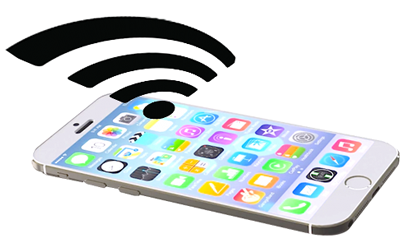 Recently, something went awry and the connection would not connect – very frustrating. I tested with 3 different Windows 10 computers, all 3 did not connect. Then, I tested with an iPad, which connected fine. So I identified that the phone Hotspot works and it was not one specific computer, so it had to be with the iPhone setup. To change an iPhone name, go to SETTINGS > GENERAL > ABOUT > NAME (this does not affect iTunes account in recognizing iPhone). We design great speaker support presentations. But it is not always about the (great) graphics. Sometimes the most engaging presentations are just a presenter on stage presenting. Corporate meetings have guest speakers. Being the Presentation expert behind the curtain means we get a VIP seat to see and hear many of today’s engaging speakers, bands and entertainers. 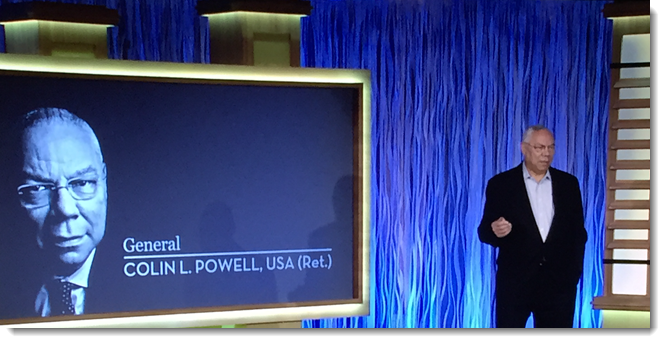 In 2015, General Colin Powell stands out as a memorable presenter, not for any presentation graphics, but just for being a fantastic and engaging speaker. This is Gen. Powell’s only slide and my view of the stage. It was a great hour of presentation! PowerPoint does not have anything to do with the physical curve of the presentation. Instead, the curve is done by all the great AV crews that we have the opportunity to work with. The 16×9 presentations are nicely designed, but have no special setup. The Ultrawide background is a custom PowerPoint template setup to match the projection pixel count with images and content strategically designed so as not to interfere with standard 16×9 slides and IMAG areas. TLC Creative Services plans with production companies in advance to ensure all layers are coordinated. These are the presentation design projects that our team really enjoys! As a design project for an awards show, TLC Creative was asked to develop a video loop to play on a custom podium that has a 16×9 monitor in portrait – very cool! We story-boarded the visual concept and motion effects (using PowerPoint as the storyboard canvas), then after client approval we moved into Photoshop, Illustrator and video editing (Premiere and After Effects), using elements from two provided event collateral pieces and a lot of creativity. The final piece was designed to coordinate with the event theme, have subtle motion that would not be distracting, work with the staging and seamlessly loop for the duration of the event. The full loop was several minutes, here is a 30 second clip of the animation. Here’s another great client and example of a provided slide vs. the presentation makeover slides that were used in the final presentation. In this instance, after reading the script, we opted to divide the single slide into two more visually dynamic slides and take a long section of talking and break it into two visuals. This is a print design project that spanned much of last year where we developed a collector series of large (24″x36″) posters featuring classic WWE superstars. Definitely makes things fun at TLC Creative when you walk around and have one designer working on a presentation about life saving medical treatments and the next designer developing a larger than life Hulk Hogan! Hope you were able to get to the 4 special WWE live events and collect all 4!! Before Star Wars: The Force Awakens movie was released (and it is a great movie! ), TLC was asked to develop a marketing team presentation to pitch the property. It was not a problem having the design team request this project on their calendar. 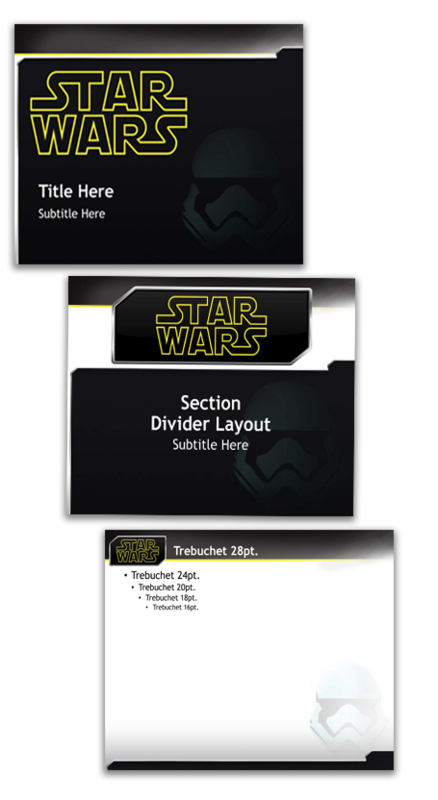 We also created this Star Wars themed template back in 2013 for another project.